Jerry Scholder, a resident of Front Royal, Va., is working to gain government acceptance for using worms to treat biosolids. Photo courtesy of Scholder. Jerry Scholder is on a mission to gain government acceptance of using worms to treat biosolids. Scholder, a resident of Front Royal, Va., with a degree in accounting and work experience in sales and marketing, got into the business of worms through his father-in-law, Roy Hartenstein. Hartenstein, State University of New York (Albany) College of Environmental Science and Forestry professor emeritus, began researching worms’ ability to treat biosolids in 1978 and has published books and research papers on the topic, Scholder explained. Hartenstein’s research is built on composting using worms, or “vermicomposting,” a process that uses worms to clean and stabilize biosolids, also known as “vermistabilization” he said. “It’s a management process … that can be tested and sampled,” he said. 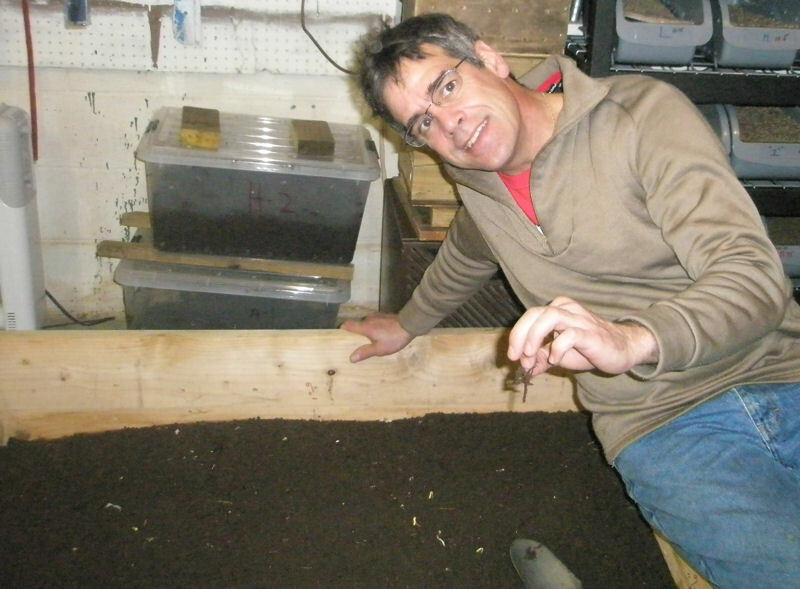 “My objective [is] creating a Class A vermicompost that can be used by anyone, at any time, for anything,” Scholder said. In 2010, Scholder retired from sales and marketing and began reproducing Hartenstein’s research to reaffirm the management process needed for successful vermistabilization. Scholder’s research focuses on using red worms, which eat their own weight in biosolids every day, for vermistabilization. Photo courtesy of Scholder. 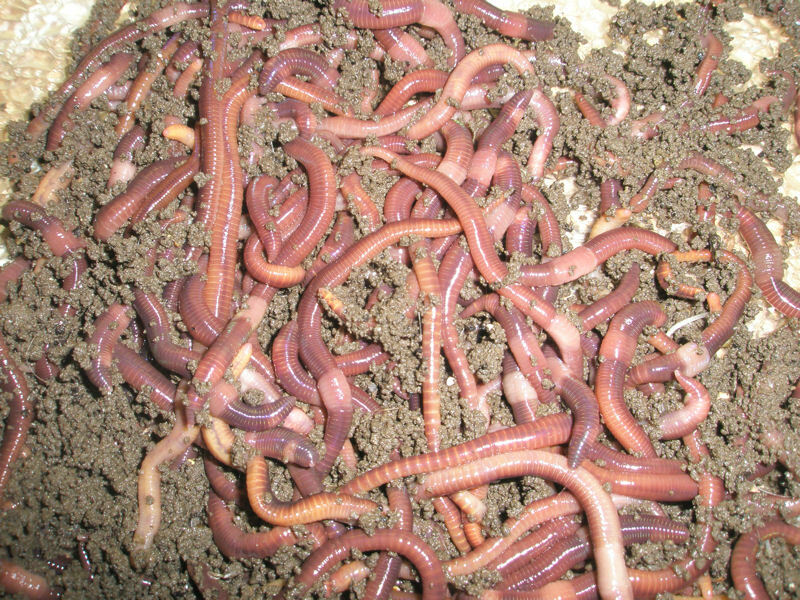 Earthworms used for vermistabilization include red worms, garden worms, and night crawlers. Each type consumes organic material, including microorganisms; crystalline minerals, such as sand, silt, and clay; and detritus, such as leaf litter. Each also lives in a different level of the soil: Red worms live in the top 102 mm (4 in.) of soil, garden worms live between 102 and 254 mm (4 and 10 in.) deep, and night crawlers live between 254 mm (10 in.) and bedrock, Scholder said. Scholder said his work focuses on red worms, because this earthworm species consumes and processes more material than other worms. Under optimal conditions, one red worm continuously eats throughout the day and can produce four to eight additional worms every 9 weeks, he said. “I know what worms like; I know how they like to eat,” Scholder said. According to “conservative estimates,” red worms eat their own weight in biosolids every day, and 1000 worms, or 0.45 kg (1 lb) of worms, can fit comfortably in 0.09 m2 (1 ft2) of soil, he said. Scholder also knows how to increase a red worm’s size by 20% to 30% so it can treat even more biosolids. At these rates, Scholder estimates that these worms can process 18 Mg/d (20 ton/d) of biosolids on 0.4 ha (1 ac). “The only thing that slows [worms] down is environment,” Scholder said. “And I know all those parameters. I know the maximum efficiency of what a worm can do.” He explained that optimal living conditions for worms include a soil temperature between 21°C (70°F) and 26°C (78°F), neutral pH, and 80% moisture. “If you give them the proper food in the proper environment … they are not going to leave,” Scholder said. Scholder transported Class B biosolids from his local water resource recovery facility to these wood bins in his yard. The bins, innoculated with red worms, completed vermistabilization of the solids within 10 days. Photo courtesy of Scholder. Scholder can tell when biosolids have been processed because vermicastings resemble sand, with small and uniform grains, and no longer have an odor, he said. This indoor bin shows vermicastings. Photo courtesy of Scholder. Worms ingest organic matter that fits through their mouths. The worm’s intestine, which is lined with a protective sac, destroys toxins and harmful bacteria, leaving aerobic bacteria that help suppress plant disease and transform organic material into humic substances and soil. Excreted material, or “vermicasting,” is coated by a membrane that protects the worm from its waste and slowly decays, releasing soluble nutrients into the soil, Scholder explained. Scholder’s research takes place across 37 to 56 m2 (400 to 600 ft2) of his backyard, where about 181 kg (400 lb) of red worms reside. 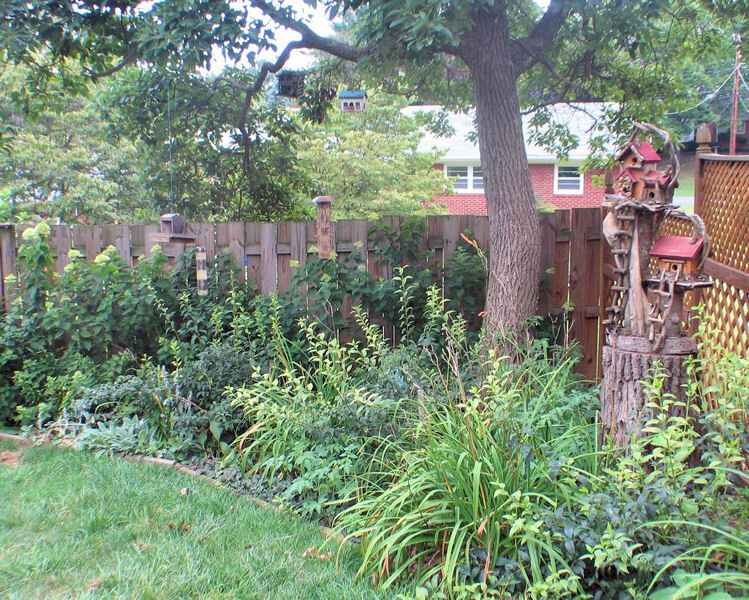 He has installed wood bins measuring 0.6 m (2 ft) deep, 1.2 m (4 ft) wide, and 3.7 m (12 ft) long in his fenced-in yard. The bins have 6-mm (0.25-in.) holes on all sides for aeration, which is important for the worms. During winter, the bins are covered with landscaping material and topped by rugs to protect the worms from low temperatures. “I’m very, very careful about what I do, because I understand the importance of it,” Scholder said. Wearing a mask and gloves, Scholder transported 1225 kg (2700 lb) of Class B biosolids from his local water resource reclamation facility. He made nine trips, hauling 136 kg (300 lb) of biosolids on each trip to his home. 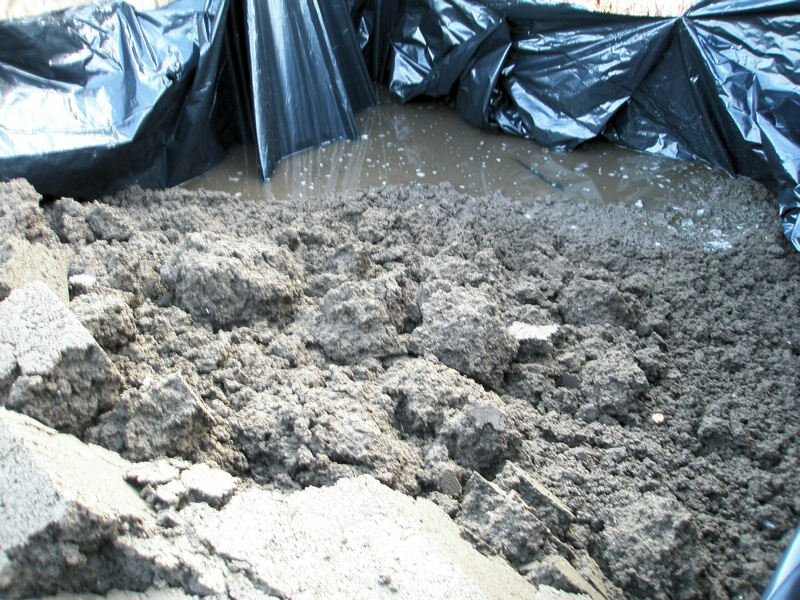 The worms completed vermistabilization of all of these solids within 10 days, Scholder said. Regulations prohibit the sale of vermicastings from biosolids, so Scholder has applied them to his yard, and the results in his garden have been impressive, with plants growing faster and taller than normal, he said. 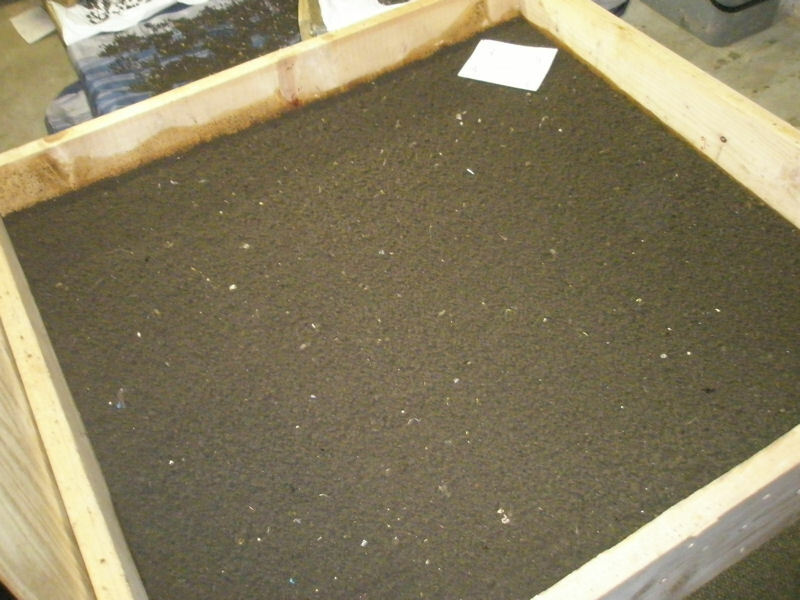 Scholder has applied his Class A vermicastings to his own yard and seen his plants’s growth increase. Photo courtesy of Scholder. 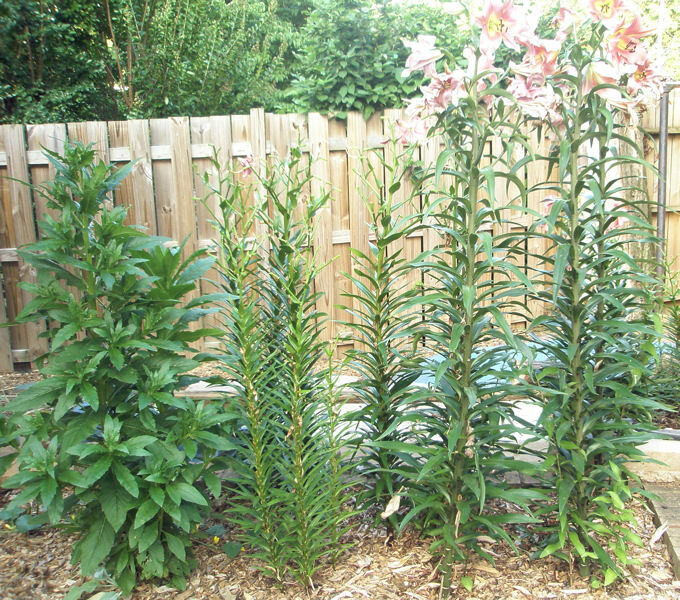 Scholder’s garden now has 2-m (6-ft) tall day lilies, seen on the right, when the plant normally only grows to 1.5 m (5 ft) tall. This is one example of the benefits vermicastings can provide for soil, he said. Photo courtesy of Scholder. Because regulations prohibit transporting Class B biosolids from water resource reclamation facilities, Scholder’s biosolids supply has been stopped, and his worms have been eating food and vegetative waste. But experience has shown that with the proper management process, vermistabilization is a low-cost, low-maintenance, environmentally beneficial solution to treating biosolids and generating a substance that can improve soil, Scholder said. The technology also provides a less expensive alternative to disposing of biosolids, Scholder said. A 929-m2 (10,000-ft2) indoor facility that can operate all year can treat 4.5 Mg/d (5 ton/d) of biosolids. The costs associated with operating this facility include about $26.45/kg ($12/lb) in the United States to purchase worms and could be offset by selling vermicastings, Scholder said. Currently, vermicastings from livestock waste can be sold for $4.41/kg ($2/lb), but even if you only sell biosolids-based vermicastings for $0.55/kg ($0.25/lb), this equals $550/Mg ($500/ton), he added. In addition to these monetary benefits, the humic substance in vermicastings contains carbon, which helps prevent soil erosion and dust storms, Scholder said. Also, earthworm movement creates small tunnels that both aerate soil and increase capacity to retain stormwater. A 2.6-km2 (1-mi2) area inoculated with worms will hold an additional 1.6 m3 (417 million gal) of stormwater, Scholder said. Scholder has experienced roadblocks to his research. He has attempted but been unable to obtain a patent for his management process and has found the process of achieving U.S. Environmental Protection Agency (EPA) approval difficult. “It’s a very complex, expensive process to go through,” he said. But Scholder vows to “not give up” and plans to continue pursuing his quest to obtain government sanction for the technology and subsequently public acceptance of vermicasting, he said. Scholder’s efforts to educate and spread the word about vermicomposting includes the creation of a website and this bumper sticker. Anyone can purchase their own copy of this bumper sticker. Photo courtesy of Scholder.